Alonissos Island. Photo by GTP. Greek ferry company Golden Star Ferries is ready to begin servicing the Sporades islands – Skiathos, Skopelos and Alonissos – from Thessaloniki with its two new high-speed vessels as of Friday, June 15. Itineraries of both vessels will be daily and run until September 9. The company’s Super Cat vessel will depart at 9 am from the port of Volos, making a local route to Skiathos and returning to Volos. At 12:15 it will depart from Volos and service the route Skiathos-Skopelos-Alonissos-Skiathos-Thessaloniki. It will arrive at the port of Thessaloniki at 7pm. Golden Star Ferries’ Super Speed ​​vessel will depart from Thessaloniki at 10 am and follow the route Skiathos-Skopelos-Alonissos-Skopelos-Skiathos-Volos. The Super Speed will arrive at the port of Volos at 5 pm. 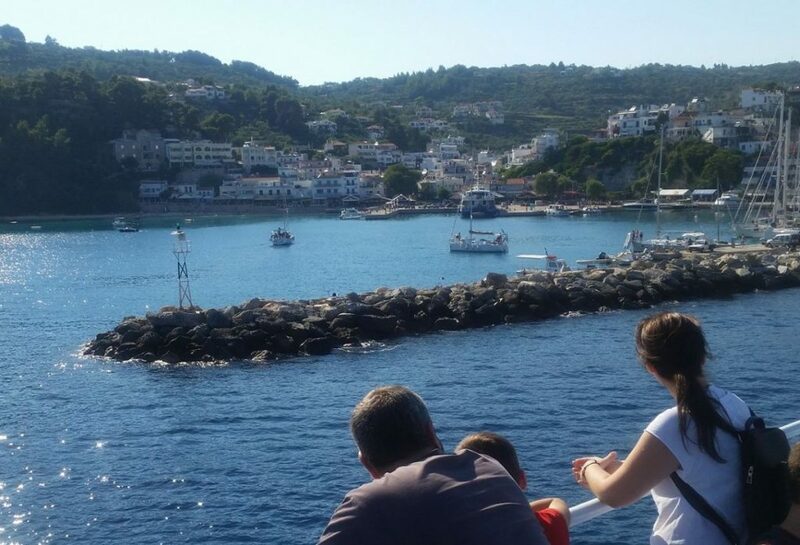 A local Volos – Skiathos – Volos route will take place every Friday, Saturday and Sunday morning by which ever vessel is in the Volos port. It is reminded that Golden Star Ferries had originally received approval from the Coastal Transportation Council (SAS) to service the Cyclades islands from Piraeus with the two vessels. However, according to reports, considering that the times of the routes were not of commercial interest, the ferry company then received the approval of the Shipping Ministry to carry out routes connecting Thessaloniki to the Sporades islands.